Furniture Medic is one of the largest providers of furniture restoration and repair services in the world and these services are available to the homes and businesses of the Galveston, TX area through Furniture Medic by Bob Llorente. Our technicians are highly skilled and dedicated to carrying out the reputation of Furniture Medic’s master craftsmanship with quality restoration and repair services for wood furniture, kitchen cabinets, antique furniture, and furniture in commercial settings. You can protect the investment you have made in your furniture with our services as they are a much more cost effective alternative than replacing your worn out or damaged furniture and our repair and refinishing services can also help revitalize and extend the life of your furniture. The main services we provide include wood furniture refinishing and repair, kitchen cabinet restoration and refacing, antique furniture refinishing and restoration, upholstery restoration, and commercial furniture restoration. We use the latest furniture restoration technology and methods to repair and refinish worn out or heavily damaged furniture and we perform on-site repairs for your convenience. 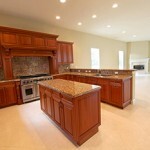 You can reach us at (409) 356-4553 for furniture restoration and repairs in Galveston, TX and the surrounding areas. Wood furniture is a very popular choice for just about any area of a home because it is durable and its natural beauty adds to the appearance of the room. Despite its durability however, wood furniture is susceptible to minor surface damage such as scratches and gouges and the finish can wear off over time, causing the furniture to look dull. Furniture Medic by Bob Llorente provides wood furniture refinishing and repair services in Galveston, TX to repair and restore damaged or worn our wooden furniture. We can effectively remove surface damage, re-glue or readjust broken pieces, and restore the original finish of a piece or apply a new finish for a different appearance. The kitchen cabinets are a major feature in the kitchen that greatly affect the look of the room and provide storage space for food and utensils. Because the cabinets are used on a daily basis, they can easily become scratched, gouged, or broken and like other wood furniture, the finish can also wear out and affect the overall appearance. Full replacement of kitchen cabinets is an intrusive and expensive process which is why Furniture Medic by Bob Llorente provides kitchen cabinet re-facing and restoration services in Galveston, TX. We can repair or replace damaged cabinet doors and drawer fronts without removing the cabinet boxes already installed in your kitchen and we can also refinish worn out cabinets. Antique furniture is usually quite valuable with both monetary and sentimental value, especially if the piece is a family heirloom. 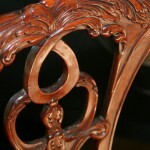 Unlike other furniture, antique furniture is very unique and damage to antiques can greatly diminish their value which makes it important to protect your pieces with trusted repair and restoration services. Furniture Medic by Bob Llorente provides effective antique furniture repair and restoration services in Galveston, TX to repair damage to all types of antiques and restore the original character of the piece. We understand that furniture is not considered antique if its original character has been changed by more than 50 percent and we are dedicated to preserving the original character with minimally invasive restoration methods. 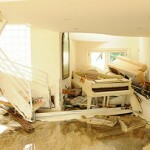 Natural disasters cause pervasive damage in a home or building that often affects the furniture. If your furniture is damaged by smoke, fire, water, or vandalism, it takes specialized services to restore the furniture back to its original condition. Furniture Medic by Bob Llorente provides disaster furniture restoration services for homes and businesses in Galveston, TX to repair and restore furniture damaged by a disaster or act of vandalism. Our technicians have the skills to handle restoring even the most heavily damaged furniture. 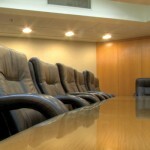 The furniture in a commercial space such as an office, waiting room, or conference room experiences heavy daily use which makes it susceptible to all types of damage and general wear and tear. If the furniture in your office is broken or worn out, it can affect the appearance of the office as well as the impression that people may get of your business. Furniture Medic by Bob Llorente provides commercial furniture restoration services for businesses in Galveston, TX to repair and restore all types of furniture found in commercial settings including tables, desks, chairs, and bookshelves. We use advanced techniques and equipment to repair commercial furniture and we will work outside of your business hours to minimize the interruption.